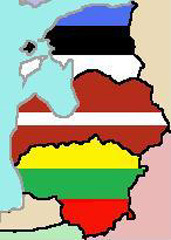 The various football leagues in the Baltic States are approaching the halfway stages of the 2011 campaign. Defending champions Flora Tallinn and FK Ekranas still remain unbeaten at the top of the Estonian Meistriliiga and Lithuanian A Lyga respectively whilst Latvia’s Virsliga saw leaders FK Ventspils lose for a second time in less than a week. Eight times Estonian champions Flora Tallinn are threatening to run away with the Meistriliiga as they currently hold a seven point advantage over joint second place club JK Nõmme Kalju having played one game less. The defending title holders don’t quite have the league’s best attack although they have scored just two goals fewer than Kalju and local rivals Levadia Tallinn (32 each) but what the league leaders possess is the league’s tightest defence having only shipped in five goals so far, averaging at one goal conceded every five games. The league leaders have gone through something of a mini-break ahead of oncoming UEFA Competition as they haven’t played a competitive league game since June 14th when they defeated Sillamäe Kalev 1-0. However they face off against 2nd place Nõmme Kalju this Sunday in a game which could see Flora go virtually out of sight at the top of the table. FK Ekranas, champions for the last three years in Lithuania, currently lead the A Lyga by four points and are, like their Estonian counterparts Flora, still unbeaten after fifteen games. Unlike the Estonian championship, however, Lithuania’s top flight doesn’t quite feel like a one-horse race just yet as FK Sūduva and FK Žalgiris Vilnius are hanging on their coat tails. All of the top three teams won away from home by the same 1-0 score line this weekend; FK Ekranas had Auremis Vertelis to thank for the three points as his 37th minute goal defeated FK Klaipeda whilst Sūduva and Žalgiris also scraped home by a solitary strike against FK Kruoja Pakrujo and FK Banga Gargždai respectively. FK Ekranas currently have 39 points with Sūduva and Žalgiris just four and six points further behind each having played the same number of matches. Things have become more interesting in Latvia’s LMT Virsliga in the last week. FK Ventspils, who were unbeaten in their first twelve matches of the current campaign with a record of 11 wins and 1 draw, have now suffered back-to-back defeats. Their first loss came away at FK Jelgava on June 22nd with Vladislavs Kozlovs bagging a brace in his side’s 2-0 victory over the league leaders. Ventspils were then made to suffer at home to Liepājas Metalurgs yesterday afternoon in a repeat of the 2010-11 Latvian Cup final which FKV won last month; Lithuanian midfielder Nerijus Valskis, who is currently on loan from FBK Kaunas, scored the only goal in the first sixty seconds of the match to gain a spot of revenge for Metalurgs and whose title challenge has been resurrected in the process. FK Ventspils currently top the table with 34 points from 14 games, three points ahead of Metalurgs who have played a game more. Surprise package Daugava Daugavpils came within sixty seconds of a victory away at defending champions Skonto Riga yesterday but for Deniss Kačanovs’ equalizer in stoppage time which granted Skonto a 1-1 draw. Daugava lie third in the table with the same record as Metalurgs whilst Skonto have just 26 points from 14 games played.